Keeping records, making invoices, tracking sales, not exceeding thresholds, contributing, declaring properly, organizing documents, that's all you can do with Tiime AE. Create your account, take 30 seconds to set up your profile and discover an effective dashboard to know what's going on in your auto-enterprise. Then, don't start filling out your records, and if you want to be bluffed, then synchronize your bank and your records will be directly populated, all you have to do is classify your transactions into expenses and revenues, and hop your records will be generated. Make your invoices, transform your quotes into invoices, follow up on customers who have not paid you, and all this without any computer knowledge. In short, it's practical and very simple. And if you want to organize your business so that everything is square, you can put your documents in the secure storage space, so you will have access to all documents, from wherever you are. 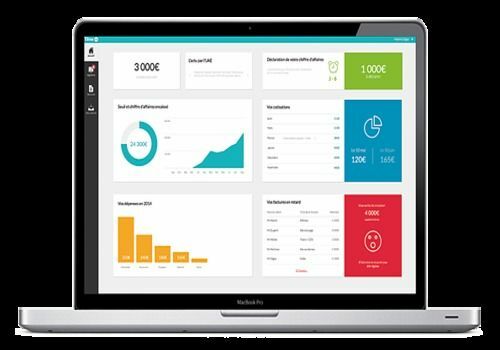 Gest4U is a web application to allow entrepreneurs and self-employed people to do their own accounting.